The University of Cambridge now has access to the New Oxford Shakespeare online. Access the New Oxford Shakespeare at this link. Now in October 2016 the text of the plays in this edition is available online from the Oxford Scholarly Editions Online platform. To follow in December 2016 will be the Critical Reference Edition and the Authorship Companion. To keep up-to-date sign up to the OSEO news feed. In the Shakespeare 400th-anniversary year, The New Oxford Shakespeare presents an entirely new consideration of all of Shakespeare’s works, edited from first principles from the base-texts themselves, and drawing on the latest textual and theatrical scholarship. 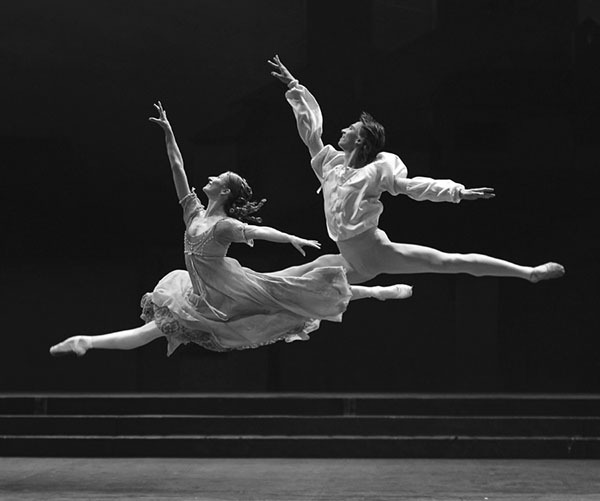 2 Daria Klimentová and Vadim Muntagirov as the young lovers in Prokofiev’s ballet (1935), choreographed by Rudolf Nureyev (1977), in the English National Ballet production at the Coliseum (2011). Photo by Annabel Moeller. New on ejournals@cambridge A-Z : Critical Philosophy of Race. Access Critical Philosophy of Race via the ejournals@cambridge A-Z or at this link. Now available to the University of Cambridge electronically from volume 1 (1986) to present. Access Philosophy and Theology via the ejournals@cambridge A-Z or at this link. The view from the West Room (Periodicals, University Library) can sometimes surprise. “The European Data Protection Law Review (EDPL) provides a practical and intellectual forum to discuss, comment, and review all issues raised by the development and implementation of data protection law and policy in the EU Member States. The journal reports on key legislative developments and addresses relevant legal, regulatory, and administrative progresses in EU Member States and institutions. Important judgments that shape the interpretation and application of the EU law in this field are identified and analysed, particularly judgments by the European Courts, international courts and tribunals such as the WTO’s Dispute Settlement Body, and higher national courts. Access European Data Protection Law Review (EDPL) via the ejournals@cambridge A-Z or at this link. New on ejournals@cambridge A-Z : Nuevo Texto Crítico. Now available to the University of Cambridge electronically from año 1 (1988) to present. Access Nuevo Texto Crítico via the ejournals@cambridge A-Z or at this link. The University of Cambridge now has trial access to the South Asian newspapers online 1864-1922 resource up to 24 November 2016. Please send feedback to: rmr29@cam.ac.uk, keeping ‘South Asian newspaper database 1864-1922’ in the subject line. This collection provides online access to a select group of South Asian newspapers from the 19th and early 20th centuries. Featuring English-, Gujarati- and Bengali-language papers published in India, in the regions of the Subcontinent that now comprise Pakistan, and in Ceylon (now Sri Lanka), South Asian Newspapers offers coverage of the people, issues and events that shaped the Indian Subcontinent between 1864 and 1922. Newspapers included are: Tribune (Lahore), Pioneer (Allahabad), Madras Mail (Madras), Leader (Allahabad), Kayasare India (Bombay), Indian People (Allahabad), Ceylon Observer (Colombo), Bankura Darpan (Bankura) and Amrita Bazar Patrika (Calcutta). Indian People, October 25, 1906, p. 7.